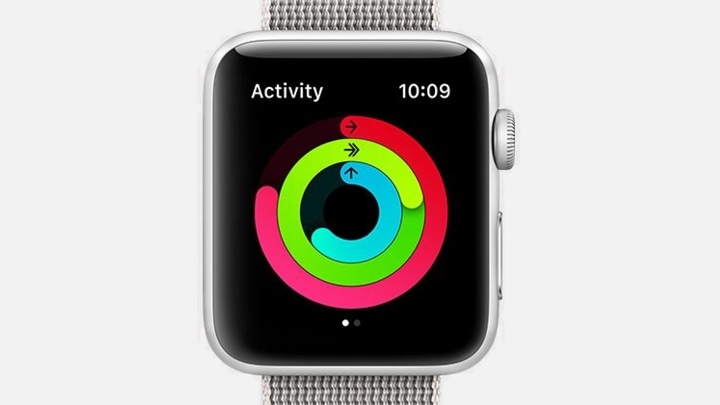 Could we really see a fitness tracker join the Apple Watch? Apple's smartwatch already doubles up as a pretty solid fitness tracker, but a new patent could hint that Tim Cook and company might still be weighing up making something to go up against devices like the Charge 3 and Garmin's legion of fitness bands. The new patent spotted by the folks at Patently Apple is titled, Fitness Tracking for Constrained-Arm Usage and is accompanied by the illustration below. Throughout the patent filing, the phrase 'fitness tracking' is regularly used. Despite stating that the illustration is of an Apple Watch, the illustrations seem to suggest a different device altogether and might be a way of Apple trying to throw people off the scent that it's plotting something new. The Apple patent-covering site also adds further fuel to the speculation fire pointing to an earlier patent published by the company covering health management where Apple's own engineers describe both a smartwatch and a fitness watch making a clear distinction between the two. Unsurprisingly, this is not the first time a second Apple wearable has been hinted at. We can go back to 2016 to find talk of an Apple fitness band. We should also remember that Apple nabbed consultants, engineers and designers that worked on the Nike FuelBand fitness tracker to work on a project that ended up being the Apple Watch. So it clearly has the experts on board to make a fitness tracker if it wanted to. Will it actually happen? Fitness tracking is undeniably one of the Watch's best features and pulling out the tech that makes it all happen and putting it into a slimmer wearable could well have appeal. Apple has made (slightly) cheaper versions of its other flagship products like the iPhone. A second wearable device could really cement its place as the leading wearable maker. Apple's already shaken up the watch industry, so there's no question it could dominate the fitness tracker domain too if any potential new device is priced right and obviously still lets you close those activity rings. Because we are all about closing those rings.